As Fort Lauderdale brain injury attorneys, we help personal injury victims who suffer brain injuries across Florida, including in Fort Lauderdale, Miami, Plantation, Naples, the Florida Keys and the Palm Beaches. Head injuries are a particularly dangerous and sadly common effect of car accidents and fall down accidents. Traumatic brain injuries can have devastating consequences that resonate for the rest of your life. It is estimated that about 1 million people suffer some type of brain injury each year, with half of those being caused in motor vehicle accidents. 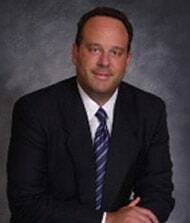 Our experienced Miami brain injury attorneys are here to help you pursue justice and compensation for your injury. For over 25 years, our Fort Lauderdale brain injury lawyer has helped his seriously injured clients recover tens of millions of dollars in compensation for their pain and suffering, medical bills, mental anguish and lost wages. A traumatic brain injury is caused by sudden and severe blow to your head. The most common type of head injury diagnosed from the trauma of a Fort Lauderdale car accident is known as a closed head injury, such as when your head hits a hard surface, like a steering wheel or car window. Sadly, these types of close head injuries may also happen in even apparently minor car accidents and trip and fall or slip and fall accidents. According to the Centers for Disease Control and Prevention, ongoing extensive efforts to lower the number of accidental trip and falls, especially among Florida's ever-growing elderly population, slip and falls and trip and falls remain a major cause of brain injuries, with nearly 20% of all falls resulting in a serious personal injury. Incredibly, every year nearly 3,000,000 elderly folks received care in a hospital emergency room as a result of an injury caused by a fall. 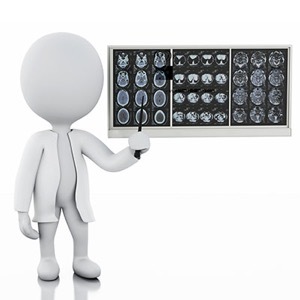 You may also need a Miami brain injury attorney if you have a brain injury caused when the skull is penetrated by an object, like a piece of glass from a windshield during a Naples car accident. Brain injuries may result in both primary and secondary damage. Primary brain damage includes skull fractures and lobe lacerations. Secondary damage often includes swelling or infection. Typically brain injuries cause physical problems including tinnitus, dizziness, vision problems and lack of coordination. More importantly, brain injuries caused debilitating cognitive problems which affect your ability to communicate, difficulty concentrating, memory deficiencies and inability to perform activities of daily living. Whether mild, moderate or severe, the victims of head and brain injuries suffer debilitating problems, which may change their lives forever. Fort Lauderdale brain injury lawyer Joseph Lipsky helps victims of brain injuries caused in a Miami trip and falls or slip and falls are generally referred to as a traumatic brain injury, or TBI. A TBI is essentially a disruption of normal brain function due to any kind of trauma to the head. TBI's encompass rather minor personal injuries like concussions, and range through extended loss of consciousness. Severe TBIs can lead to subdural hematomas or bleeding, disruption of nerves, ocular injuries like a retinal hemorrhage. Traumatic brain injuries are some of the most devastating personal injuries we see. Our brain injury attorneys are prepared to evaluate your case and fight for your rights as an innocent victim of another driver's mistake. We recognize and appreciate our clients' needs, and the problems they face living with these injuries. Our priority is helping our clients receive proper specialized medical care, with a medical doctor, neuropsychologist or in-patient extensive rehabilitation.